“The Lost Boys: Hard-To-Find ’80s Albums” gives you exactly what the title implies: a rare or out-of-print album or EP from the ’80s in its entirety. Some will be from CD, but most will have been lovingly transferred from pristine vinyl culled directly from the Analog Kid’s vast collection. Whatever album I choose, it will be one that you can’t easily find a physical copy for sale on Amazon or in your local record store (if you even have one anymore). Death…by stereo! 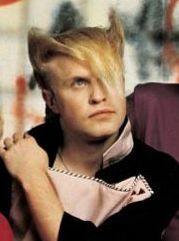 Who had better hair: Brian Setzer or Mike Score? In retrospect, I suppose it’s a good thing that I never had the guts (or enough Stiff Stuff) to sport either hairstyle. I did embrace the music, though, and I’ve remained a fan of Setzer, Slim Jim Phantom and Lee Rocker ever since. 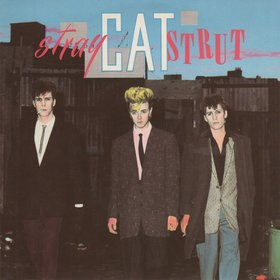 Built For Speed was the Stray Cats’ debut album in North America, but it was actually a compilation of songs pulled from their first two UK albums (Stray Cats and Gonna Ball) along with the newly-recorded title track. 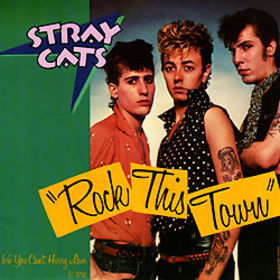 Both “Rock This Town” and “Stray Cat Strut” reached the Billboard Top 10 in 1982, and all of a sudden three retro-rockers from Massapequa were huge stars. 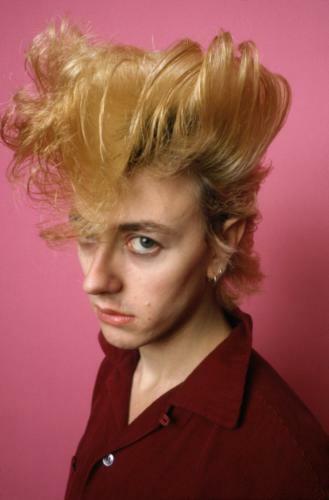 Some critics considered the Stray Cats a novelty act at the time, but anyone who ever saw them live knew that these ‘Cats could PLAY. I’ve been lucky enough to see them in person a few times over the years, mostly in tightly-packed sweaty bars. Those shows were some of the best concerts I’ve ever seen– it’s truly amazing that such a big sound could come from one guitar, one upright bass, and one little four-piece drum kit. 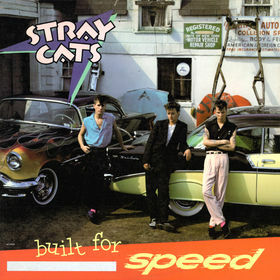 Despite its status as the Stray Cats’ biggest album in America, Built For Speed has been out of print on CD for years. Please enjoy this copy of my original CD, which I am happy to say was autographed by all three ‘Cats after a show in Austin in September of 1988. 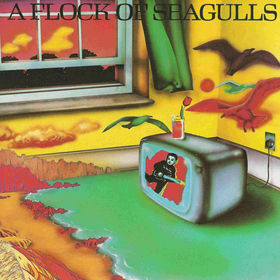 Posted by The Analog Kid on February 13, 2014 in New Wave, Rock and tagged A Flock Of Seagulls, Analog Kid, Brian Setzer, Built For Speed, Lee Rocker, Rock This Town, Slim Jim Phantom, Stray Cats. That REALLY surprises me that CD is no longer in print. By far their biggest album. Luckily I married a good woman who has both Built for Speed and Rand and Rave on vinyl. Appreciate them a lot more now than I did back then, they really cover a lot of styles out side of just “rockabilly”, which I like.